This post is being relayed to you in a low voice apropos to the subject matter so if you have difficulty understanding it, please move closer to your screen or monitor for better results. READY NOW? THEN WE’LL BEGIN!! Our next meeting sees the results of our latest project “Silent”, the criteria for which can be found HERE. A challenging remit for sure but one that is open to many interpretations which we are sure you have all keen to explore. Or at least it gave you a chance for some of you to remix some of your old films you were afraid to show because the sound was a bit dodgy!! We are hoping that there is little “silence” by way of response when we ask if you have a film ready but if you do please reply to this thread in the comments section if you will be participating as it helps with the timing on the night. I’ll have two films for project night. Never mind the quality feel the width! They are approx 3mins each. Project night is an ideal opportunity to try something new or off the wall and to generally practice your film making skills without the pressure of competition. I hope there’ll be a mountain of entrants, especially from those club members who are newbies. I hope to have one ready, working on it at the moment, but it will not be an ‘avant guared’ type of film as Simon suggests would be a good idea!! I have one but dont blink when watching it – its only 30 seconds long. Last night saw a number of interesting interpretations on the topic of “Silent” including a couple of dips into the OVFM archive. First up was “Quiet Please” a look at Goal Ball, a sport for blind athletes, filmed at the 2012 Paralympics by Reg “Bomber” Lancaster. In case you were wondering it does a (tenuous) relevance to the topic of “Silence” despite the sport being based around vision impairment. Barbara Walker asked fro “Silence” in her film before our chairman Simon “Snapper” Earwicker showed us what happens “When Bears Go Bad” (and it has nothing to do with their toilet habits in leafy locales either). John Bunce demonstrated his skills at “Silent DIY” then we took a look back over the life of John Epton’s mum in “Eighty Years Of Visual Entertainment”, the first part of an ambitious birthday tribute film. David Laker brought the puns with his untitled film while the final outing from Mr. Earwicker “A Moment To Remember”, shot during a Remembrance Sunday service. I think. I can’t remember. Finally we had three different archive films, one from an unusual external source. First we had “So Near Yet So Far” by G. Parker and old OVFM cine film from the early 70’s followed by a stop motion club film “Take Your Partners”. 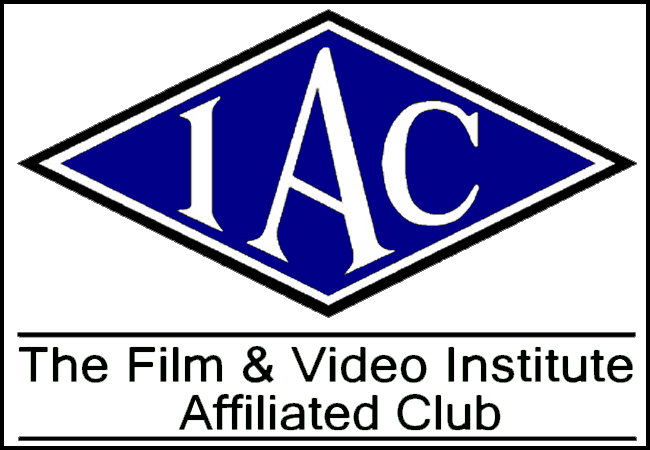 Via David Laker, Ian Menage converted an old commercial cine reel film to DVD and added music to a Laurel & Hardy film entitled “The Music Lesson”. After some investigation I can tell you that this was in fact a ten minute segment taken from their 1940 talking feature film “Saps At Sea” (the last film they made with Hal Roach) with the soundtrack removed (presumably as home cine cameras didn’t have sound facilities).